Roger Penske's firm acquired Truck-Lite in 1997. NEW YORK (Reuters) -- Transportation services company Penske Corp. is exploring a sale of Truck-Lite Co. in a deal that could value the maker of lighting, wiring harnesses and mirrors for trucks at close to $1 billion, people familiar with the matter told Reuters. 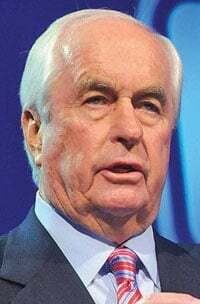 Penske, a company controlled by billionaire former race car driver Roger Penske, owner of the eponymous racing team, has hired investment bank Robert W. Baird & Co. to run an auction for Truck-Lite, the people said this week. Truck-Lite has annual earnings before interest, tax, depreciation and amortization of around $100 million, the people added. The sources asked not to be identified because the sale process is confidential. Representatives for Penske, Truck-Lite and Robert W. Baird did not respond to requests for comment. Based in Falconer, N.Y., Truck-Lite manufactures lighting and safety accessories for the heavy-duty truck, trailer and commercial vehicle industries. Founded in 1955, Truck-Lite was acquired in 1997 by Penske with backing from General Electric Co. Private equity firm Kelso & Co acquired a stake in Truck-Lite in 2010. Penske Corp. is a holding company for subsidiaries operating in the retail automotive, truck leasing, transportation logistics and professional motorsports markets. Its businesses have annual revenues in excess of $19 billion. Penske's biggest holding is its 35 percent stake in Penske Automotive Group Inc., the second largest U.S. auto dealership group, which generated $17.2 billion in revenue in 2014.